Islam is the most formidable challenge the Christian Church has ever faced. 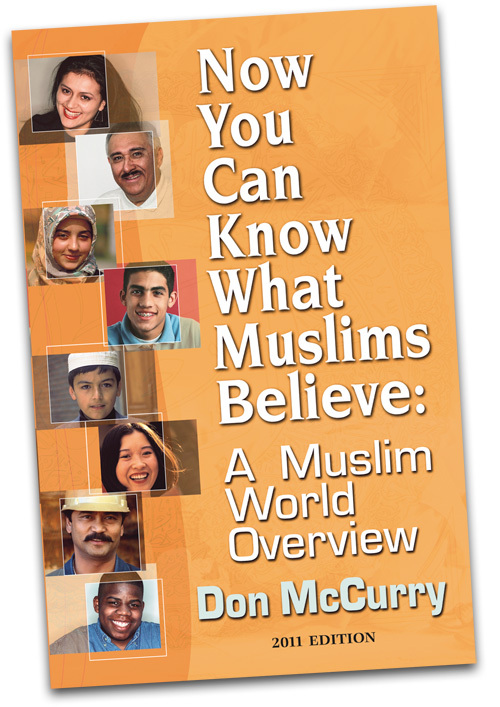 Islam's believers number over 1.5 billion people or about 23% of the world's population. Islam was born when Muhammad, seeking to distance himself from Christian and Jew, founded an Arab religion wedded to the sword and set out to "conquer the world for God." Today the religion dominates 51 countries of the world and has a significant minority presence in another 88 countries. Islam has pitted itself against the rest of the world, including the West, and intends to subdue Christians and Jews wherever it finds them. Yet, all across the globe, Muslims are coming to Jesus Christ! Millions in Indonesia and tens of thousands in Bangladesh and West Africa are being transformed by the Gospel — even in places like Iran, Iraq, Turkey, Saudi Arabia, and Pakistan. Now is the time of harvest in the Muslim world. But intercessors and workers at home and abroad are still too few. Ministries to Muslims would like to help you get involved in Christianity's greatest challenge. This well-organized and easily understood booklet, revised for 2011, summarizes the history, beliefs, and practices of Islam. It sets out the varieties of Islam talked about in the media (Sunni, Shia, and Black Muslims), as well other lesser-known divisions, such as Sufi and Folk Islam. It describes practical ways in which individuals and congregations can reach the Muslims in their neighborhoods and cities, as well as how to pray for Muslims around the world to receive the forgiveness and unsurpassed love of their Savior and ours, Jesus Christ. Copyright © 2019	Ministries to Muslims All Rights Reserved.